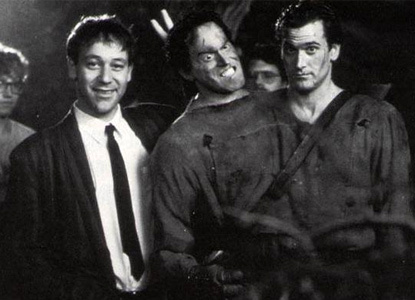 Sam Raimi, Bruce Campbell and Evil Bruce Campbell at the set of Army of Darkness. That’s right Evil Dead fans, Sam Raimi is taking some time off this summer to write a sequel to Army of Darkness with his brother. We may now spend the next months discussing whether it will be a good addition to the franchise or not and if Bruce will be back as Ash or not. Ahh, the joys of being a horror geek!